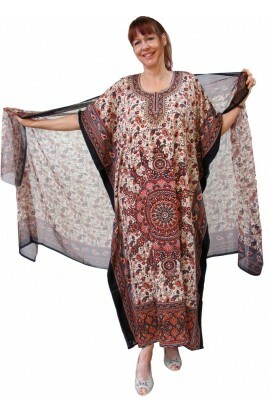 Kaftan in top quality cotton lawn. One free-size that is suitable for hip sizes up to 58". The fabric of this kaftan bears paisley swirls of wine, teal and stone on a background of dark olive swirls and small leaves on olive.